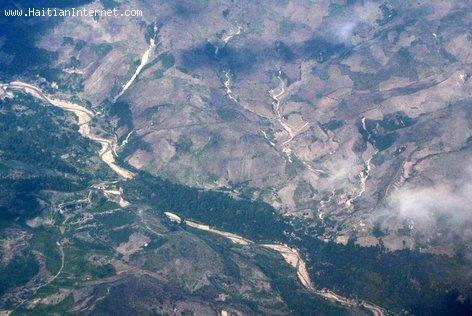 Looking at Haiti from the air, it looks severely deforested... Haiti IS severely deforested... Only 3 percent of Haiti is covered with trees... Wow! Deforestation in Haiti is a severe environmental problem. In 1923, over 60% of Haiti's land was forested; by 2006, less than 2% of Haiti was forested.